After today, we don't recommend mailing in your ballot. Drop it off. 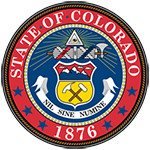 DENVER, Oct. 29, 2018 -- After today, Colorado Secretary of State Wayne Williams is urging voters after today to drop off their ballots at a voting center or 24-hour drop box. That's because postmarks don't count -- ballots must be in the hands of an election official by 7 p.m. Election Day, Nov. 6. "I have worked very hard to provide funding for our county clerks to set up 24-hour drop boxes so voters can drop off their ballots any time of the day or night," Secretary Williams said. "In Colorado, we want to make it as easy as possible for people to vote."